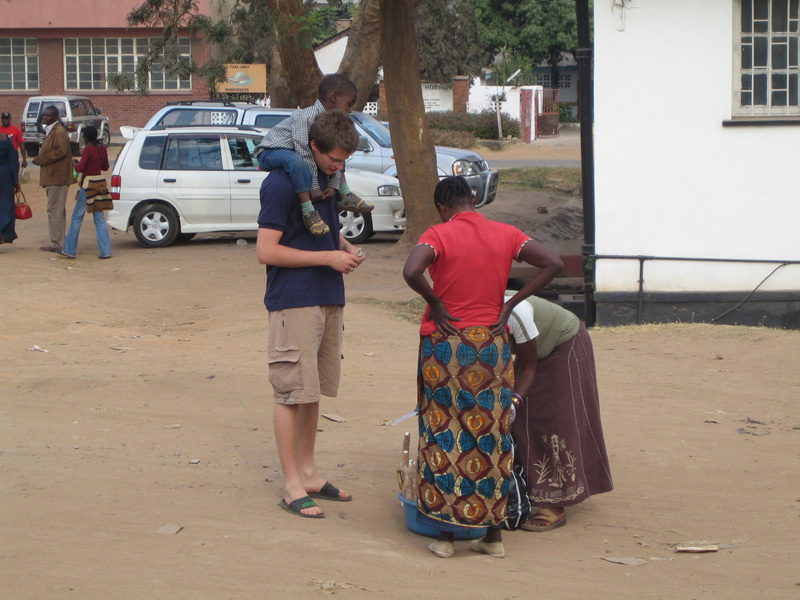 Voluntary Work by Will K.
It took me a while to write this report about my long-term stay in Zambia. And, it hasn't been an easy task, I admit. Many things were brought to the surface again, many emotions and memories re-awakened: wonderful memories, but also those that take me back to more difficult situations. Where should I start? How do you summarize nine months? Nine months where I experienced so much, where I learned so many things, and where I had to master the highs and lows which invariably are associated with a visit like that. At the beginning of 2008, approximately two weeks after completing my mandatory military service, I left Switzerland. With a short stopover in South Africa Zambia was supposed to be my home for the next three months. In the end, three months turned into nine. Ok then, off we go to Zambia. I arrived in Lusaka, the capital of Zambia, full of excitement, hopes and expectations. But, also with a healthy dose of skepticism and doubts. Many of my friends had sent me off with words of encouragement, but there were also warning voices: 'What do you really want to accomplish, just being on your own? You are just wasting your time and money there...' They could not have been more wrong, as it turned out. The first weeks were indeed exciting and encouraging. I learned a lot and yet some of it took a bit longer to process. In any given day one encountered numerous opportunities and saw many doors for providing help and assistance wide open. So many ways and means to improve the local situation. Yet, the next day I faced disappointments, obstacles and what looked to me like insurmountable challenges. In the end, this dichotomy became a fight that took mostly place within myself. I realized quickly, that in the end it would be in my hands alone, whether my time here in Zambia would be successful or not. It was be solely up to me to decide whether the unavoidable problems and even defeat in certain areas would be the reason for my failure or the chance to find another way around them. Most of the time, classes took place in the morning and usually I was already exhausted afterwards. I firsthand experienced the hardship of being a full-time teacher. Nevertheless, I also tried to make good use of my afternoons, even if simply going to bed for a nap often loomed large as a very attractive option. For example, I participated in sporting events for older students and eventually even helped to organize them. After unearthing two about 15 year old computers I also started to hold computer classes in the afternoon. After the first weeks in Lusaka I moved further north to Ndola, the city where Claire had spent most of her time in 2007. There, I was scheduled to meet up with friends from Switzerland and other youth volunteers from the USA for a three week project, among other things to build a classroom at the Mackenzie Community School. Afterwards, I immediately returned to Lusaka as I was forced to fight for an extension of my visa. 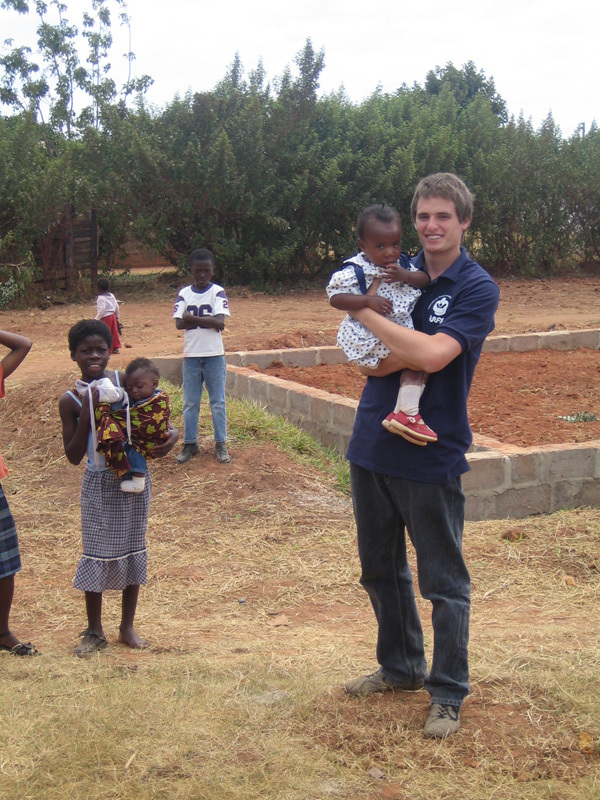 One should think that volunteers are welcome in a country like Zambia and supported in their endeavors. Far from it, as I found out. Nevertheless, after quite some fighting I was eventually approved for a six-month extension of my visa. 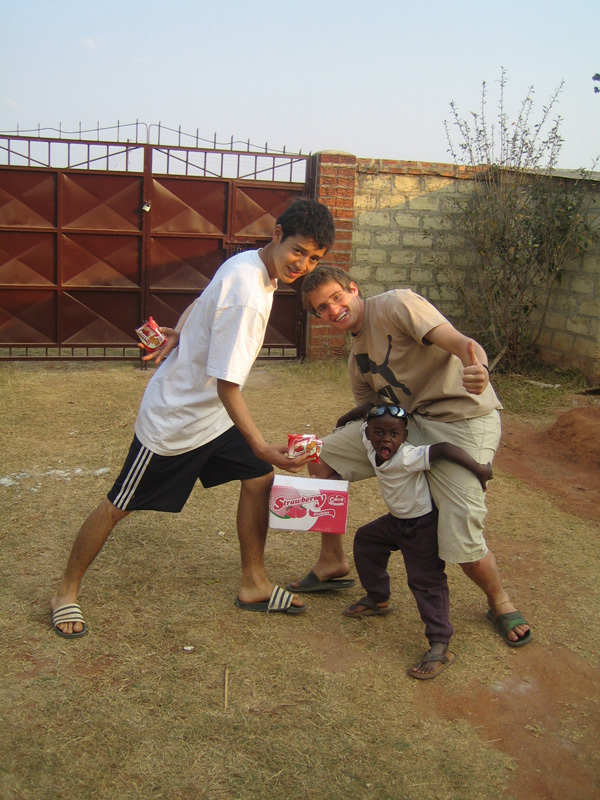 During my days back in Lusaka I helped with painting the school where I had taught before. This allowed me to experience how eager local young people were to help their community, something they did with all their heart and time. In only a short period of time the appearance of the school changed completely; amidst drab concrete the little bit of paint that we put on made an enormous difference. Eventually, however, I headed back to Ndola where I would spend most of the remainder of my time in Zambia. For starters, I joined already ongoing projects, for example the cooperation with the orphanage at St. Anthony, where I started to help out for a couple of days per week. St. Anthony is an orphanage which cares, among other purposes, for HIV-positive children and orphans as well as special needs kids. On other days I again taught computer lessons for interested young people from the Mackenzie community. Thanks to notebooks provided and brought to Mackenzie by volunteers during the summer we were able to achieve enormous success with these lessons. Over time, opportunities arose to also participate and shape entirely new projects. I was able to experience and participate in the construction of a new home, which was mostly funded and supported by generous donations from Switzerland. I was also able to spend many an unforgettable hour with children from the Mackenzie Community in the newly created soccer program. The almost unbelievable openness, willingness and cheerfulness of the population, their desire to give back to the community, to help others who are even worse off than themselves, despite the fact that in the end most of them were simultaneously fighting for their own survival. The unceasing efforts by the teachers of the Mackenzie Community School, often done without compensation, simply out of the desire to provide and place hope into the children attending their school, to enable them to one day make a difference in the community. Young people who willingly took upon themselves a two hour walk (one-way) simply to attend computer lessons as a way to educate themselves and improve their chances in life. To see orphans, who are being pushed around, fed with burning hot food or whose wheelchair is tipped over into the dirt, all without as much as tear being shed on their face; however, to then see the same orphans, who – after being lifted up into your arms and carried around a little while – break into screaming tears after being put down again, because the little attention and love that they were given is being taken away from them. In the end, it was not necessarily the fundamental poverty affecting the people here, which was the truly depressing experience of my stay. Nor was the construction of a new classroom the true highlight. The true and most profound sadness for me was caused by the fact that we in our countries have so much at our disposal, but yet we constantly complain, completely oblivious to the fact that in other parts of this world there are throngs of human beings which never had and never will have anything comparable in their lives. And yet – to see these people procure the strength and desire to help those even less privileged and worse off than themselves, and by doing so provide a small glimmer of hope that maybe, maybe a future generation will be able to break free of the shackles that afflict them in so many ways. This was the true inspiration and realization of my stay, the call to action for all of us – there is so much more to be done, there is so much more left that we CAN do!